This episode we are joined by the one-and-only Mundi Ross, the founder of both salt+butter co. and Colorado Collective, mom to a one-year-old and wife of a whiskey maker! There is even a special interview with Mountain Fold Books, too! All the good things for your ears as we spread some Colorado Springs love this season. We highly recommend you get a copy (or three) of Volume One of Colorado Collective. You can order online or find a complete list of where to pick it up on the Colorado Collective website. It’s gorgeous and full of inspiration. You are also invited to the COCO Volume One Launch Party on December 5th at Rooted Studios! HERE is the Facebook event with details. Hope to see you there! 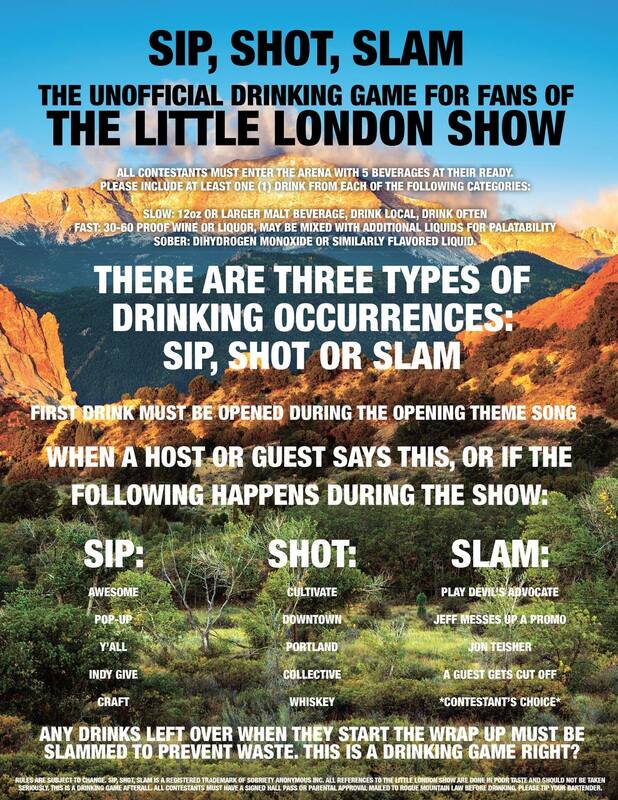 Are you a #sipshotslam player? The drinking details have been updated for this episode! Click the image below to view or print. Please listen and play responsibly! !